In many ways, understanding Scripture is like going on an archeological dig. We all know that archaeologists devote themselves to studying things that come from the past. They dig up artifacts at an ancient site and do their best to reconstruct the artifacts' significance when they were first created and used. Well, in much the same way, investigating Scripture involves digging into something that comes from the past — the Bible. We explore biblical passages that come from thousands of years ago and reconstruct their significance in their original ancient historical settings. Investigating Scriptures in their ancient contexts is a crucial dimension of biblical interpretation because it enables us to discover the fully reliable, infallible and authoritative meaning that the Holy Spirit and his inspired human authors intended when the Scriptures were first written. This is the third lesson in our series He Gave Us Scripture: Foundations of Interpretation, and we've entitled it "Investigating Scripture." In this lesson, we'll focus on several concepts that are important to exploring and discovering the meaning of Scripture. Our discussion of the process of investigating Scripture will divide into three parts. First, we'll define original meaning, which is the object of our investigation. Second, we'll explain the theological basis for focusing on the original meaning of Scripture. And third, we'll look at the importance of paying proper attention to original meaning. Let's begin with a definition of original meaning. We've all had experiences when someone has misunderstood something we've said or written, and we usually say something like this, "You know, that's not what I meant." We don't like it when people take our words and use them in ways that go against what we first intended. And usually a few words of explanation settle things. But when it comes to figuring out the original meaning of something that was said or written thousands of years ago, like the Scriptures, things are not so easy. We have to slow down and ask a few questions: What do we mean by the "original meaning" of a biblical passage? Why should we be interested in it? Why is it important for us today? The concepts, behaviors and emotions that the divine and human writers jointly intended the document to communicate to its first audience. To be sure, there are a number of complexities that this definition raises, and we'll deal with some of them as we go along. The Holy Spirit designed Scripture to accomplish all these things and more in the lives of believers. So, when we say that our investigations are intended to discover the original meaning, we're not simply trying to find out what the words and sentences might have meant in a narrow intellectual sense of the word. Rather, we're looking for the full range of impact authors intended to have on the lives of their first audiences. As we consider the concept of original meaning, it's helpful to think in terms of three main concerns: the biblical document we're investigating, the human writer that the Holy Spirit inspired to write the document, and the audience that the human writer intended to be the first recipients of the document. The document is important because it's the actual word of God that was sent to the first audience. The human writer is important because, through the process of organic inspiration, the document reflects the author's thoughts, intentions, feelings, literary skills, and so on. And the audience is important because both the Holy Spirit and the human author crafted the document in a way that spoke particularly to them in their own context and circumstances. This means that every biblical text was historically conditioned for, or accommodated to, a time in history and a life-situation experienced by the original audience of the text. It's true that human writers create documents that affect their audiences in ways they never intend. But in the process of investigation, we're especially interested in how biblical writers intended to impact their original audiences through their documents. So, investigating the original meaning of a biblical passage involves exploring the text as if it were still within the historical circumstances of its writer and first audience. This kind of exploration requires a lot of research, careful thinking and imagination. In other words, it requires a lot of human effort because biblical documents no longer exist in their original settings. With this understanding of original meaning in mind, let's address the theological basis for emphasizing it when we're investigating Scripture. There is a sound theological basis for emphasizing three aspects of original meaning in our investigation of Scripture. First, we'll speak of the theological basis for giving attention to the writer. Second, we'll consider the original audience. And third, we'll look at the function of the document itself. Let's begin with the theological basis for considering the human writer. Jesus asked them, "What do you think about the Christ? Whose son is he?" "The son of David," they replied. He said to them, "How is it then that David, speaking by the Spirit, calls him 'Lord'? For he says, 'The Lord said to my Lord: "Sit at my right hand until I put your enemies under your feet."' If then David calls him 'Lord,' how can he be his son?" (Matthew 22:41-45). In this passage, Jesus referred to David's authorship of Psalm 110. And he specifically tied his interpretation of the psalm to the fact that its human author was David. Jesus pointed out that since David called the Christ "Lord," the Christ could not merely have been David's son. The Christ had to be even greater than David. In fact, Jesus' argument only makes sense if we consider the fact that David wrote this psalm. And just like Jesus did here, all responsible interpretation acknowledges the significance of the human writers of biblical books. Focusing on the human writer helps us understand many features of Scripture. As another example, consider the different ways that 2 Samuel and 1 Chronicles tell the story of the kingship of David. 2 Samuel devoted nine chapters to the sin of David with Bathsheba and Absalom's rebellion that followed David's sin. But 1 Chronicles doesn't tell any part of these stories. It doesn't even mention the names of Bathsheba and Absalom, except in David's genealogy. Why would the Chronicler omit such major events in David's life? The answer has to do with the historical circumstances and intentions of the human writers of Samuel and Chronicles. The author of the books of Samuel was concerned with showing that the Davidic line was God's choice for Israel despite David's shortcomings, so telling the story of how David responded to his sin was crucial to the author's narrative purpose. But the author of Chronicles was writing a very condensed history of Israel for an audience returning from exile. He didn't contradict Samuel, but he only recorded the parts of David's life that suited his own narrative purposes, which were to teach the returning leadership how Davidic kings should reign in Israel. In passages like the ones we've mentioned, Scripture demonstrates how important it is for us to focus not just on God as the ultimate author of Scripture, but also on the human writers he inspired. And that means that we have to learn as much as we can about the situations, personalities, experiences, skills and intentions of these writers. Having seen the theological basis for emphasizing the human writer of a biblical document, let's turn to a second important aspect of our investigation of original meaning: the first audience or recipients of that document. Have you ever noticed that throughout biblical history God gave his Word to his people in ways that suited their historical circumstances? Imagine if God had given ancient Israel a computerized version of the Ten Commandments. Or what if God had given the New Testament Scriptures to the early church in modern French or Mandarin? These scenarios don't make sense because the original audiences of Scripture would not have understood what God was saying to them. And, of course, this isn't what God did at all. He wrote the Ten Commandments on stones. He led Christ's apostles and prophets to write in Greek. In fact, throughout biblical history, to one degree or another, God always accommodated his revelation to his original audiences so that they could understand. God designed his revelation to be understood by its first audience. He adapted the words and ideas of Scripture to the culture, technology, social structures and even religious experiences of its first audiences, so that they would understand what he was saying. It helps to think of divine accommodation in terms of a spectrum ranging from general to specific accommodations. On one end of the spectrum, every portion of Scripture was written to suit the universal human condition. By this we mean that every time God revealed himself to human beings, he did it in ways that were applicable, in one way or another, to every human being throughout history. Who … does not understand that, as nurses commonly do with infants, God is wont in a measure to "lisp" in speaking to us? … [S]uch forms of speaking … accommodate the knowledge of him to our slight capacity. As Calvin pointed out, God's mind is so far beyond our minds that he has to speak to us as a nursemaid speaks to an infant. Because God is so immeasurably greater than we are, he has to stoop very low in order for us to understand him. We see this kind of universal accommodation throughout the Scriptures. It appears most dramatically in anthropomorphisms — the times in Scripture when God speaks, behaves, or appears in ways that seem almost human. God speaks human language; he's grieved; he changes his intentions; he asks questions. These and countless other features of divine revelation were designed to meet our general human limitations. Jesus replied, "Moses permitted you to divorce your wives because your hearts were hard. But it was not this way from the beginning." In the preceding verses, Jesus had said that God ordained marriage at creation, and that divorce was not part of the marriage ideal. Then he went on to explain that Moses had permitted divorce in Deuteronomy 24:1-4 only because of Israel's sinful hardness of heart. In Deuteronomy 24, Moses gave legislation requiring that a certificate of divorce be given to a divorced woman. Some Pharisees in Jesus' day had used this passage to justify divorce for any reason, so long as a certificate was given. But notice how Jesus factored in God's accommodation to the original audience. He said that God gave this law "because your hearts were hard." On this basis, Jesus argued that Moses merely "permitted" divorce as an accommodation to his first audience, the nation of Israel. Divorce wasn't ideal, and it wasn't even really acceptable. But in light of Israel's stubborn and unforgiving spirit, God had commanded divorce certificates as a way to minimize the damage done by their sin. This example indicates just how important it can be to investigate the original audience of a biblical passage. Jesus' correction of this pharisaical practice rested on the divine accommodation of Moses' law to the original audience of Scripture. On the other end of the spectrum, God also accommodated his revelation to individuals, such as the specific people to whom he spoke. He took into account the strengths and weaknesses, and the accomplishments and failures, of particular groups of people, and sometimes even of specific individuals.  For example, in the New Testament we have many letters that are addressed to one specific church or another. And within those letters, in places like Colossians 3, we find teachings that are given to smaller groups within those churches, such as fathers, children, slaves and masters. And some of Paul's letters, like Philemon, 1 and 2 Timothy, and Titus, were actually written to one specific person. In various ways, the Holy Spirit shaped these scriptural revelations to meet the specific needs of their original audiences. So, in order to understand the revelations properly, we have to learn as much as we can about those original audiences. So far in our discussion of the theological basis for focusing our investigations on the original meaning of Scripture, we've considered the significance of the writer and the original audience. So at this point, we're ready to focus on the biblical document itself. It should be obvious that if we want to know the original meaning of a biblical passage, we have to look at the passage itself. Now for many of us, this means that we simply read our modern translations of the Bible. Modern translations are not infallible, but they do represent one of the most important teaching ministries of the church. And as long as we're careful not to depend too much on a particular word or phrase that may be different in one translation or another, we can learn a lot from the translations we use. But as this lesson stresses, we must do all we can to grasp the original meaning of biblical passages — what the Spirit of God and the writers he inspired intended. So, when God gives us the opportunity, we should also become familiar as much as possible with the original languages of Scripture: Hebrew and Aramaic in the Old Testament and Greek in the New Testament. Now few of us will become experts in these languages, but the more we know about them, the better we'll be able to understand the original meaning of Scripture. The theological basis for emphasizing the biblical documents in our investigation can be found mainly in two important doctrines: the doctrine of organic inspiration, and the doctrine of divine accommodation. Let's look at how each of these doctrines points to the importance of the biblical documents, beginning with the doctrine of organic inspiration. The doctrine of organic inspiration teaches that the Holy Spirit inspired human authors to write Scripture. But it does not say that every copy made of that document will be perfect, or that every translation made from that document will be perfect. In fact, in places like Jeremiah 8:8, Scripture itself says that copies of biblical documents can contain mistakes. And we have all seen that different translations of the biblical documents can vary greatly. Because the doctrine of organic inspiration extends only to the original texts of Scripture, only those documents have the full authority of God himself. The changes that have taken place in these texts as they have been copied over the centuries are not inspired by God, and neither are the translations of those texts. So, in order to increase our confidence that we have rightly understood the original meaning of Scripture, we have to do all we can to find and study the writings that God actually inspired. Of course, in our day we're somewhat removed from the original documents of Scripture because they're no longer available. They don't exist in some holy shrine or in a museum. We only have copied texts and translations. And the authority of these copies and translations always depends on how well they represent the actual documents that the biblical writers produced under the inspiration of the Spirit. This fact is often raised by opponents of the Christian faith as a reason for rejecting the authority of Scripture altogether. Secularists argue that we can't know what the original texts of Scripture said, much less follow them. Muslims frequently argue that the Quran has been perfectly preserved by Allah, and therefore they trust the Quran over the Bible. These issues come up so often that we should pause to offer some explanation. First, one of the most important things for followers of Christ to remember is that the original documents of the Old Testament didn't exist in Jesus' day either. Slightly different Hebrew versions of Old Testament books existed at that time. And there were also Aramaic versions, as well as multiple versions of the Septuagint, the Greek translation of the Old Testament. But Jesus and his apostles still believed that the Scriptures they had were trustworthy and adequate to lead the people of God. Similarly, the early church used multiple copies of the original New Testament documents because they also believed reliable copies to be fully sufficient for directing God's people. Second, modern Christians have the advantage of many decades of scholarly research devoted to studying and comparing ancient copies of the Scriptures. These explorations have confirmed over and over that the Hebrew and Greek texts of the Bible are far more reliable than the texts we have of most other ancient writings. In his providence, God has preserved the Scriptures in remarkable ways. For this reason, the Bibles we have today are still adequate to lead the church of Christ, if we interpret them carefully. Even so, since modern translations are imperfect, we should be open to improving them as research warrants. Moreover, we must never allow our interpretations of Scripture to depend too heavily on the turn of a phrase, the choice of a particular word, or some other small item that appears in only a few ancient manuscripts or in particular translations of Scripture. We need to work hard to confirm our interpretations of particular portions of texts with many other portions of Scripture. With this understanding of organic inspiration in mind, let's turn to the second theological basis for emphasizing the biblical documents in our investigation of Scripture, namely, the doctrine of divine accommodation. The doctrine of accommodation implies that everything in Scripture — including things like its words, grammar and literary style — rose out of the cultural and linguistic conventions of its day. So, if we pay careful attention to the ways Scripture reflects these conventions, we'll be more likely to interpret it correctly. Jesus said to her, "Mary." She turned toward him and cried out in Aramaic, "Rabboni!" (which means Teacher) (John 20:16). Pay special attention to the words in parentheses. This text was written in Greek, but when John quoted Mary, he didn't use the Greek word for "teacher"; he used the Aramaic word, and then offered a translation. John first referred to Mary's words with the Aramaic term rabboni, which was the original word that Mary spoke to Jesus. But John apparently believed that a significant number of his first readers didn't know Aramaic. So, he accommodated the text to them by offering a translation that they would understand: the Greek word didaskalos. By first using rabboni, John created a moment of hesitation that heightened the drama of Mary's response. John's text led his readers to imagine the actual sound of Mary's joyous cry, to help them appreciate her joy in the risen Savior. Literary devices and conventions like this demonstrate the importance of accommodations in the original documents of Scripture, and encourage us to focus on similar issues in our investigation of original meaning. As we've seen, the Scriptures themselves provide a strong theological basis for giving attention to the writer, the document and the audience of every biblical passage. Now of course, paying attention to all three of these guides to the original meaning requires a lot of hard work. But the more we know about the writer, and the document and the original audience of a biblical passage, the better we'll be able to explore its original meaning. And the more we understand the original meaning, the better we'll be able to apply the Scriptures to our lives today. Now that we've seen what original meaning is and explored its theological basis, let's look at the importance of focusing on original meaning in our investigation of Scripture. We'll consider the importance of proper investigation in two ways. First, we'll look at the significance of this process throughout church history, especially during the Protestant Reformation. And second, we'll address some challenges in the modern church that have discounted the importance of the investigation of original meaning. Let's begin with a brief look at church history. Pursuing original meaning isn't a new, modern emphasis of biblical interpretation. It's true that at certain times the Christian church advocated rather elaborate hermeneutical systems that were far less concerned with original meaning than we are today. Even so, throughout the history of Christianity, leading theologians have urged that pursuing the original meaning of Scripture is an essential part of biblical interpretation. One of the concerns of the early church was to preserve the original meaning of Scripture against the rising challenges from heretical groups that twisted its meaning to suit their own purposes. Many early writers in church history worked hard to preserve the original message of biblical books because only the original message was authoritative. As to their affirming that Paul said plainly in the Second Epistle to the Corinthians, "In whom the god of this world hath blinded the minds of them that believe not," and maintaining that there is indeed one god of this world, but another who is beyond all principality, and beginning, and power … they … know not how to read Paul. Irenaeus was refuting Gnostic teachers who believed that Jesus came from a higher god than the creator God of the Old Testament. These false teachers believed that 2 Corinthians 4:4 taught that the Old Testament "god of this world" blinded people to the existence of this higher New Testament god, who is "beyond all principality, beginning and power." Irenaeus devoted this chapter of his book to demonstrating that these Gnostic interpreters didn't know how to read Paul because they were missing Paul's original meaning. During the Middle Ages in Europe, there were some extreme cases in which the Scriptures were viewed primarily within the context of church tradition. But there was also a strong belief in the value of original meaning or sensus literalis, as it was often called. For example, the famous theologian Thomas Aquinas argued in his work Summa Theologica , Part 1, question 1, article 10 that the sensus literalis was the foundation for all other meanings a text might be said to have. Thus in Holy Writ no confusion results, for all the senses are founded on one — the literal — from which alone can any argument be drawn, and not from those intended in allegory. As this passage clearly indicates, Aquinas believed that there are many senses for Scripture, but he insisted that "all the senses are founded on … the literal." And that this literal sense is that "from which alone can any argument" — or interpretation in the church — "be drawn." Later, during the European Renaissance of the fourteenth through seventeenth centuries, the church's control over the interpretation of literature began to wane. As a result, the emphasis on conforming interpretation to existing church tradition began to weaken, and the emphasis on the original meaning of the Scriptures began to increase. During this period, a number of important ancient Greek and Latin classical texts began to circulate around Europe in their original languages. And scholars that studied these texts focused on their original languages and historical settings. Moreover, they based their interpretations of these texts on the original meaning rather than on the authority and tradition of the church. This shift laid the groundwork for much of what took place in hermeneutics during the Protestant Reformation in the fifteenth and sixteenth centuries. Scholars like Martin Luther and John Calvin devoted themselves to investigating the Scriptures in their original languages and historical contexts. They believed that knowing the original meaning of Scripture enabled them to maintain the Bible as their only absolute authority, even over the theology of Rome. Among evangelical scholars, this view of the interpretation of Scripture came to be called the "Grammatico-Historical Method." This method is attested to in Scripture, was important all throughout church history, and has been the dominant approach to the study of Scripture since the time of the Reformation. Now that we've seen that investigating the original meaning of biblical texts was important throughout church history, let's consider some of the challenges to this idea that have arisen in the modern church. We live in a day when the importance of original meaning of any text, not just the Bible, has been questioned in a variety of ways. As we've already seen, in the past, many interpreters spoke of many meanings for every biblical passage because they believed that the Bible came from God whose mind is far beyond our comprehension. But in the modern world, the value of the Bible's original meaning or the original meaning of any literature has been questioned not because of God but because of the nature of human communication. In the early twentieth century, modern schools of literary criticism began to disregard original meaning. The earliest of these schools generally argued that the authors and original audiences of Scripture were largely unknowable. Historians said that the writers and audiences couldn't be identified with certainty. Anthropologists emphasized that we can't apply inferences from modern cultures to ancient cultures. Psychologists suggested that modern readers can't reliably discern the intentions of ancient writers. And philosophers argued that all human knowledge is so subjective that we can never really know what writers were thinking. By the middle of the twentieth century, frustration with identifying ancient writers and audiences led many interpreters to ignore them altogether and to focus entirely on the text. New critics tried to read texts without any historical context. Structuralists found meaning in the choices of words in a document in relation to all the other potential choices in the linguistic system. And reader-response critics looked for meaning in the responses contemporary readers had to the text. In the last decades of the twentieth century, literary critics went so far as to say that the meaning of the text itself was unknowable — or worse, evil. Some post-structuralists refused to allow ancient writers to impose their ideas on modern readers. They encouraged readers to "deconstruct" ancient texts by focusing on apparent contradictions and ambiguities in order to make the texts appear incomprehensible. And many critical scholars dismissed ancient authors, and encouraged modern readers to twist the words of Scripture to fit their own purposes. As strange as it may sound, it's actually possible to gain a lot of useful insights from critical scholars who challenge the value of discovering the original meaning of Scripture. But on the whole, we're wise to remember the lessons of the Reformation. The only way to avoid hermeneutical tyranny, the tyranny of human interpreters, is to view biblical passages in the historical context within which the Holy Spirit first inspired them. This is the only way to secure the authority of the Bible against individuals, cultural movements, churches and others who frequently use the Scriptures for their own purposes and claim to have the support of the Scriptures simply to exert their own authority over the lives of others. The Reformers saw that the only way to avoid the hermeneutical tyranny of church authorities was to view the Bible in the historical context in which the Holy Spirit inspired it. In much the same way, the only way to secure the authority of the Bible against the hermeneutical tyranny of contemporary individuals, political movements, churches and other powers is to pursue the Bible's original meaning. 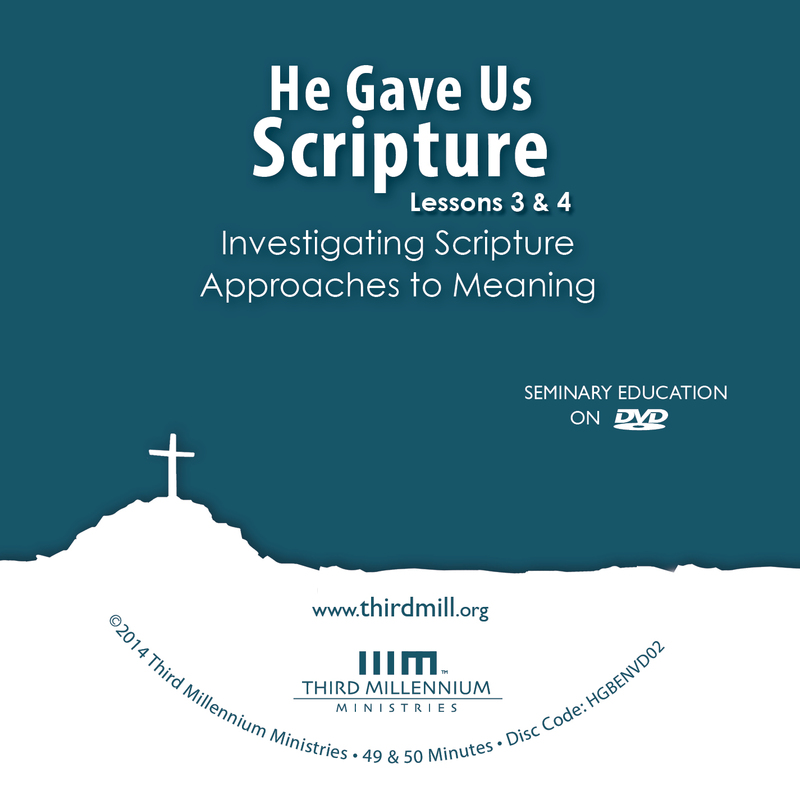 In this lesson on the investigation of Scripture, we've defined the original meaning of Scripture as the object of our investigation. We've explained the theological basis for focusing on original meaning. And we've looked at the importance of paying proper attention to original meaning. As we've seen throughout this lesson, many aspects of biblical interpretation are like going on an archeological dig. We investigate the Scriptures in their ancient historical contexts to discern their original meaning — the ways the Holy Spirit and his inspired authors intended to impact the concepts, behaviors and emotions of their original audiences. Doing our best to grasp the original meaning of each biblical text is crucial to interpretation because the original meaning bears the authority of God himself for all of his people throughout history. And for this reason, we should always stand ready to improve our understanding of the original meaning of every biblical passage, so that we can insure that every modern application we make accords with its authoritative original meaning. Dr. Michael J. Kruger is President and Professor of New Testament at Reformed Theological Seminary in Charlotte, N.C.
Dr. Peter Walker is Professor of Biblical Studies at Trinity School for Ministry. Dr. Daniel B. Wallace is Professor of New Testament Studies at Dallas Theological Seminary.